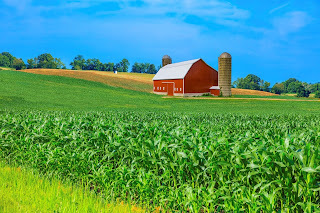 Summer is here and that means that the busy farming season is upon us. 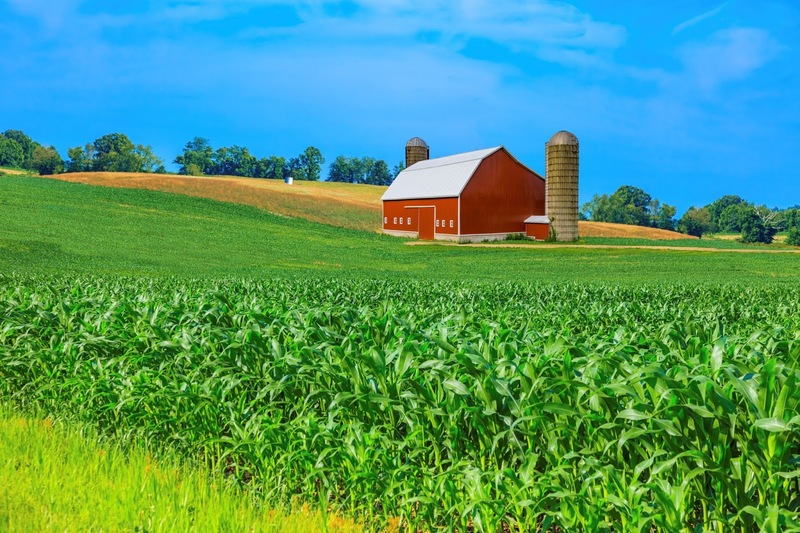 If you have a barn, it’s time to make sure everything is up to snuff in getting you through this busy time – the last thing you need is a barn door malfunction slowing you down. As the main point of entry, barn doors have an extremely important function, so it’s important they’re operating properly. Part of conducting a thorough inspection is checking to see that you have all of the necessary barn hardware replacement supplies. 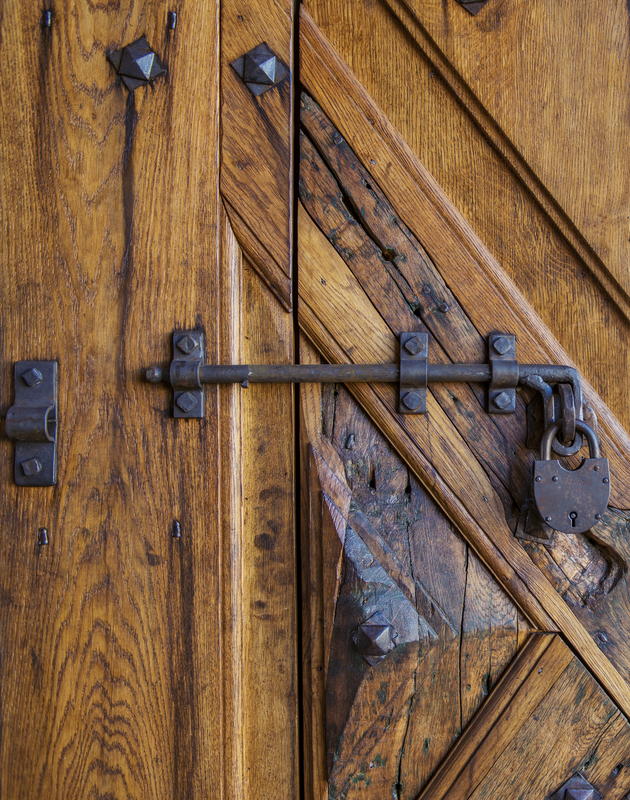 Here, we offer a guide of barn door hardware and accessories covering the parts that tend to most often need replacing – so you can rest assured your barn door will hold up and go back to focusing on what’s important! Rollers, which are also known as hangers, are located at the top and exterior of the barn door. Due to their location, usage frequency, and high exposure to climate changes, they tend to wear out easily. If malfunctioning, these may cause the doors to be heavier and more difficult to open, potentially delaying your production schedule. Many professionals will suggest using different types of oil lubrications. However, this solution is not always successful, in which case you could end up having to purchase a whole new set of rollers! If you do end up needing a full new track system, we recommend getting tracks that have a little bit more weight than your door for better support. You can find an excellent variety of barn door hardware suitable for rollers and track replacements here. For smaller barn door hardware accessories, such as brackets and end caps, we offer a range of high quality supplies here. Installing durable door guides and door stops are equally as important as having strong track systems. Door guides are a crucial component of barn doors, serving as a guide to slide the doors smoothly and facilitating entry by properly aligning them along the track system. Because they also receive a lot of exposure to damage, door guides tend to be another barn door hardware item that needs to be replaced relatively often. Depending on your barn door, it might be difficult to find these barn hardware replacement supplies locally. If you’d like a great alternative, visit us here for all types of barn door guides and door stops, from stay rollers to rails. And lastly, handles, pulls and latches are also considered to be popular replacement supplies in barn hardware. Can you imagine not having proper handles installed on your barn doors? There is a tremendous risk to not having the right handles installed on your barn door, including the potential to get robbed or find that your livestock is running free on your property – or someone else’s! Handles are typically the first touch point for anyone who is trying to open barn doors and therefore must be replaced pretty frequently. With this in mind, make sure you have durable, high-quality, secure handles, pulls and latches. Also consider the placement of this hardware on your barn door – you don’t want to realize after installation that your latch is slightly too low or too high. Check out our selection of barn door handles and latches here. However prominent our barn doors are across the face of a barn, it’s all too easy to look past them and focus more on what’s inside rather than the structure itself. What’s inside is usually more fun, anyway, right? But doing an annual check-in on your barn door hardware will save you headache and inconvenience in the future. Do yourself a favor and check up on your doors today. Come visit us here if you do need any replacement supplies, whatever kind of barn door you’ve got – and good luck in this busy season! Grilling season is upon us (hurray! ), and with it, the longtime debate ensues over what kind of grill is best. If you don’t already own a grill of your own, this may just be the year to invest in one – but which to choose? There’s tons of information out there: gas versus charcoal, wood pellet versus electric. Here, we’ll provide you with a simple rundown of the pros and cons of a few so you know which grill is for you! 1) Indirect heat smoke roasting – For a flavorful smoky flavor, close the lid and cook your favorite meats or veggies with the warm convection airflow inside. 2) Indirect heat convection roasting – This also uses warm air circulating around the food with the lid closed, but here, the heat source is off to the side. 3) High heat direct radiation cooking – This involves placing the food directly above the heat source, usually without a lid. 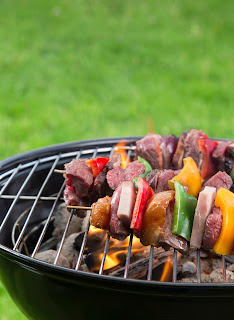 Keep these cooking methods in mind as you read through the following grill rundowns. Pellets are compressed pieces of wood shavings and sawdust that are used to warm these grills. The pellets fill the grill’s “hopper” and are then fed into a burn pot based on the speed dictated by the grill’s thermostat. The smoke produced by the burning pellets cooks the food on the grill. These grills run on electricity, which is great for competitive grilling (if that’s your thing). The heat in wood pellet grills is indirect, so it’s better for cooking larger cuts or quantities of meat for long cook times at low temperatures. Once everything is set up on your wood pellet grill, you won’t need to do much adjusting – it’ll maintain the heat and airflow over the cook time, providing predictable outcomes. These grills are also fuel efficient. 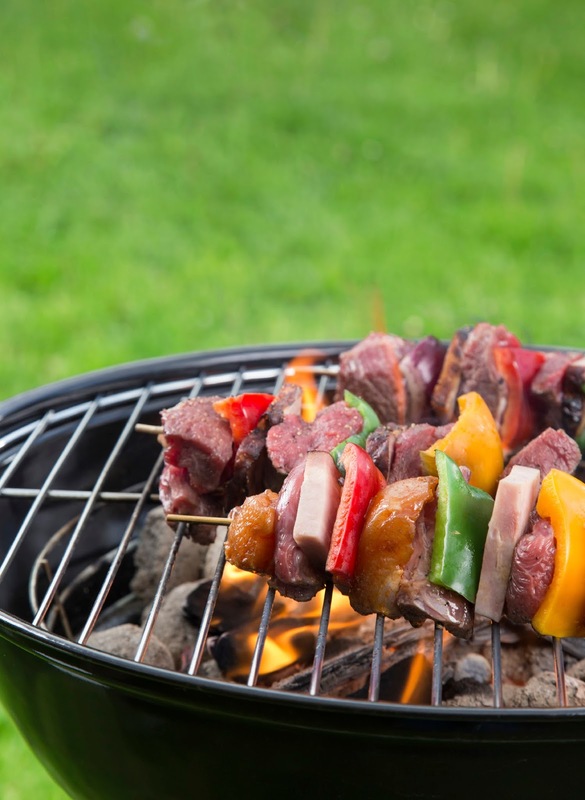 If a smoky flavor is your thing, you probably won’t love what comes out of a wood pellet grill, as it doesn’t produce a strong smoke flavor, regardless of the pellets you use. While we’re talking about wood pellets for grills, you’ll find either hardwood pellets or fruitwood pellets. Although they’re both great options, hardwood pellets will burn for a longer amount of time and are less expensive. One of the first companies to sell pellet smokers was Traeger – and you’ll find a great selection of its grills right here. Gas grills are a convenient, controlled grill option. They start easily, heat up quickly (within just 10 or 15 minutes) and hold temperatures steadily. They’re also easy to clean, with no ashes to dispose of – plus, most drips are vaporized (although there can be carbon or grease buildups underneath the burners that must be scraped clean every so often). Many fine-dining steakhouses use gas for their meats to achieve a dark sear all over, but this does require extremely high temperatures that many grills won’t reach. Although consistent, the temperature control on gas grills may vary slightly depending on the weather. On a cold, windy day, setting the temperature to 275° may actually be slightly cooler. Gas grills can also be expensive as well as complex to assemble with their many different parts. Also keep in mind that gas is explosive, so gas grills can be dangerous if, for instance, the flame goes out but the gas is still on. Always be cautious when working with a gas grill. For a variety of the best gas grills on the market today, check out our selection here. 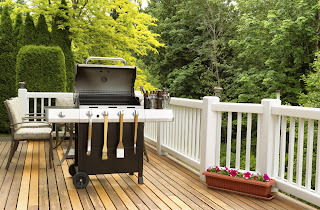 Outdoor electric grills may be the best option if you’re unsure of the investment you want to make and don’t know how much you’ll actually use your grill. That’s because this less expensive option is easy to use – you literally just plug it in and press the on button. These grills heat up in as little as one minute and are safe with no gas or flames. Since outdoor electric grills run on electricity, you also won’t have to worry about stocking up on wood, propane or any other fuel. Of course, outdoor electric grills do have some downsides. They’re usually much smaller than other grills, meaning you won’t be able to grill large quantities of food. And there’s no competing with the flavor – you just won’t get that strong grilled taste with one of these. You’ll find our selection of outdoor electric grills here in case you’d like to have a look. So now that you know your grills, you probably have a pretty good idea of which one might be best for you. In case you’d like to browse through our entire collection of grills plus some smokers and fireplaces too, check out our selection here. 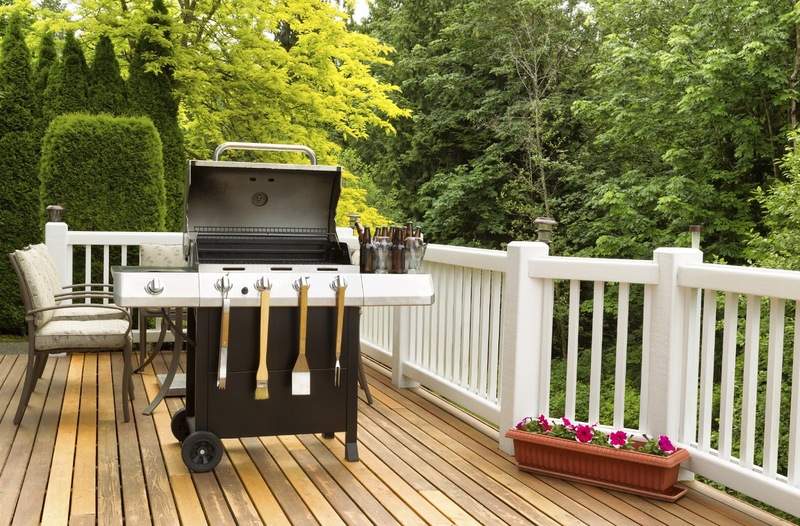 Fill that empty space on your deck or patio – invest in a grill of your own and make your garden the place to be this summer!